Welcome to Tampa's Premier indoor shooting range. 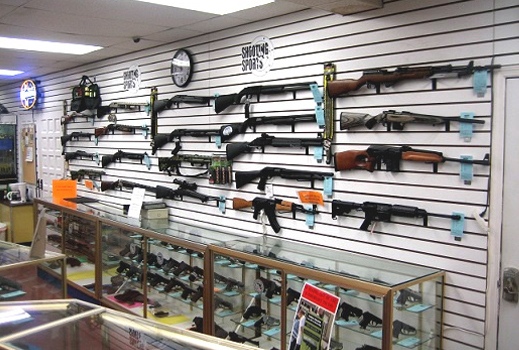 We have new, used and consignment firearms for sale and also rental firearms for use on our ranges. No membership is needed to come in and shoot. But we do offer several membership packages at reasonable rates. We have three ranges (25-50 yards) with 17 stations for handguns, shotguns and rifles. Range is open to the public - NO membership sign-up is required. If you need to transfer a firearm you purchased online or mail-order, we can expedite your FFL transfer. Trained Instructors teach classes such as USCCA Basic Handgun Course and Concealed Firearm License (CWFL). Fun activities held regularly include Seniors' Day, Ladies' Nights, Bowling Pin Shoots and our Bullseye Leagues. We also have a Parent/Child night. It is our pledge to our customers and community to provide and support a clean, friendly and safe facility. The management and employees are dedicated to enhance and promote the sport of rifle and handgun shooting in a safe and friendly atmosphere designed for enjoyment by the entire family. Range is open to the public — NO membership sign-up is required. Classes Available: Safety, Concealed Firearm License, Beginners, Woman Only Classes, etc. Shooters may use their own firearms. ALL FIREARMS, WHEN NOT IN THE RANGE MUST BE IN A CASE AND UNLOADED. Beginner to advanced: Check our Class Schedule and events. We have special classes for women only. See our Calendar. Ladies' Nights! Women now have their range fees waived and receive one complementary target Monday through Thursday, 5 p.m. to closing. Free range fees for Ladies will not apply if the shooter is certifying or qualifying for a license or permit. We offer a weekly Bullseye League for dedicated shooters. Now offering G License security classes! Call us for details. Also: We have just added Seniors' Day, Bowling Pins, and a Parent/Child night. See our Calendar. As a special discount to our customers, any new or used gun purchase over $200.00 will qualify for a 30 day free Range Membership. also ... Ask our people about any late-breaking news, events, or special sales.